A police officer was injured after being struck by a car and then dragged for more than 30 feet in Burlington County, New Jersey early Saturday morning. It happened around 1 a.m. when Police Sgt. Amaya Urtasun responded to a report of a suspicious vehicle in the parking lot of Riverside Elementary School on East Washington Street. The driver of the vehicle, 23-year-old Brandon Belton of Willingboro, was uncooperative and refused to show his hands. He put the car into drive and sped off, hitting Urtasun and dragging her 30-40 feet before colliding head-on with an unoccupied police car parked in the exit of the lot. Officers removed Belton and the passenger, 39-year-old Bonnie Manning of Riverside, from the vehicle and placed them under arrest. Urtasun, a 16-year veteran of the force, was taken to Cooper University Medical Center with knee and abdominal injuries. Marijuana was discovered inside the vehicle. Both have been charged with Aggravated Assault on a police officer, Criminal Attempted Manslaughter, Assault by Auto, drug charges and other offenses. An 18-year-old was shot fives times inside of a store in Germantown on Saturday afternoon. It happened just after 3 pm on the 5200 block of Germantown Avenue. The teenager was hit three times in the chest, once in the elbow and once in the face. He was taken to Einstein Hospital and is in critical condition. The gunman, who is described as a black male, fled the scene in a burgundy and grey Hyundai Santa Fe driven by a black female. They were heading eastbound on Ashmead Street. Police have not recovered a weapon and there have not been any arrests. Two teenagers are under arrest for a series of robberies in the Fairmount and Spring Garden neighborhoods of Philadelphia. The two teens turned themselves in to police on Friday night. They are suspected in at least 5 assaults and robberies of individual victims on the streets over the past month. In each incident, a group of 4-5 teens would ambush their victim, physically assault them, and then make off with electronics and other valuables. 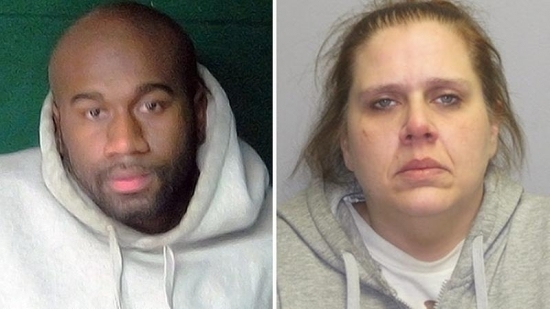 Their victims have ranged from a 13-year-old boy to a woman which they maced. The suspects are all 14-16 years old. Police say that there may be more arrests next week. The driver of a fuel tanker truck was injured when a tractor trailer slammed in to the back of the tanker on Saturday morning. It happened in the northbound lanes of I-295 near Exit 20 in West Deptford at 6:00 a.m. The tanker driver was outside of his truck fixing something as it was broken down on the side of the road when the tractor-trailer rear ended it. Firefighters had to free him from underneath the wreckage. He was taken to Cooper University Medical Center in Camden. There is no word on his condition.